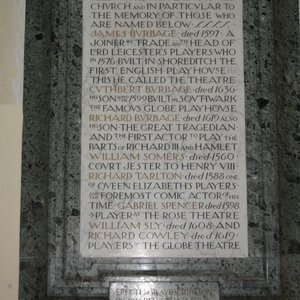 St Leonard’s in Shoreditch is the burial place of James Burbage and other actors from the Shakespearean period. 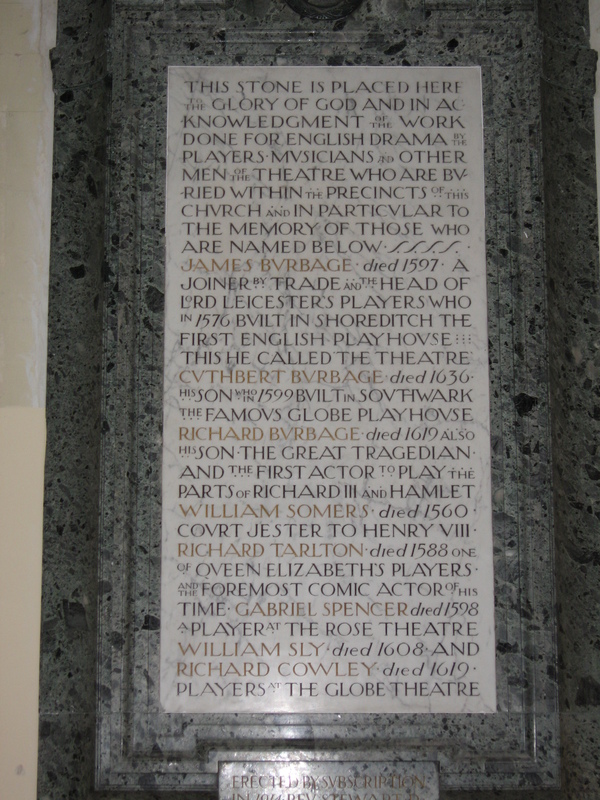 It is often known as 'the Actors’ Church' because of the various Tudor and Stuart actors who were buried here. As it is located in Shoreditch, St Leonard’s is very close to both the Theatre and the Curtain playhouse sites. From Old Street Underground Station take the eastern exit at the bottom of City Road into Old Street, walking along it to the junction with Shoreditch High Street. Cross the road to St Leonard’s Church.